Then turn the 180 degrees the other way and its completely dark. 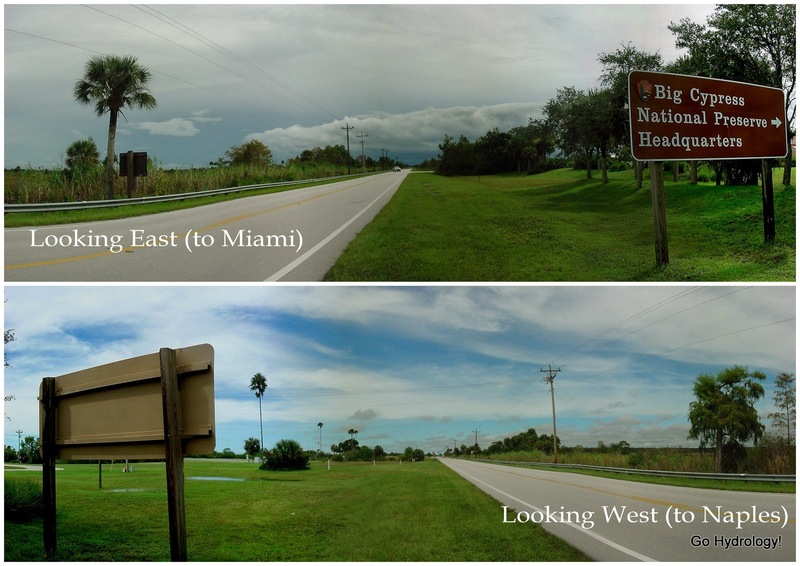 It's not uncommon in south Florida for half the sky to be blue and bright in the summer only to turn the other way to see the horizon line completely blotted out. Those darkened skies then move west on the wings of easterly airflow blowing off the Bermuda High. Or at least momentarily we do. Early evening showers (under the cloak of darkness) are a common sound on Florida's southwest coast.